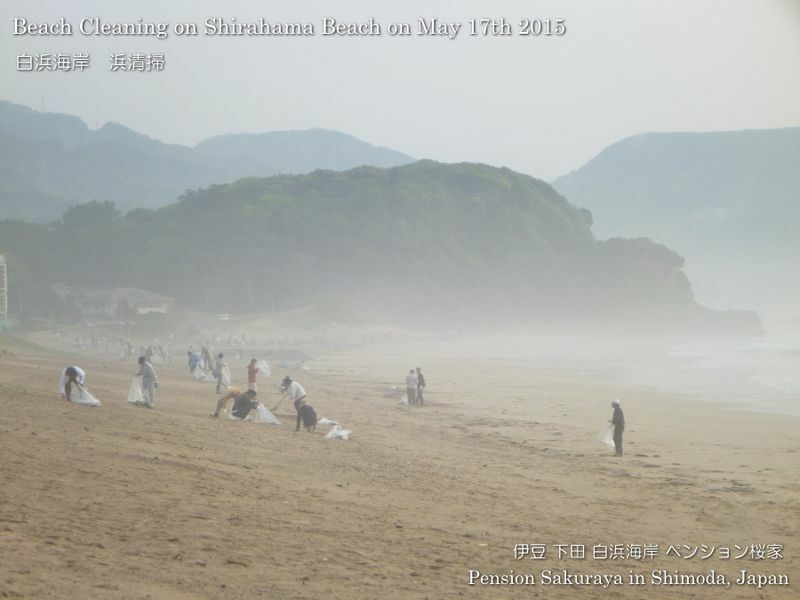 This entry was posted in beach on 2015年5月31日 by izusakuraya. 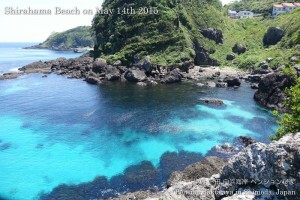 They usually don’t have big waves on this beach in shape of a cove. 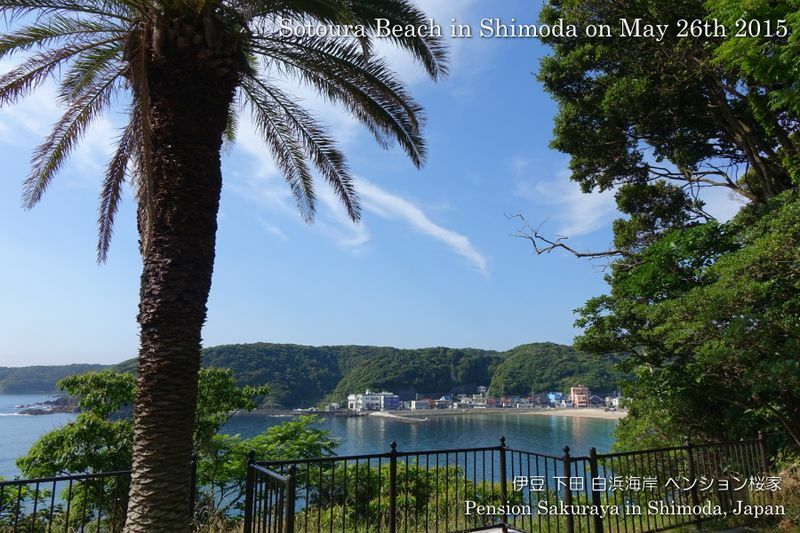 That’s why this beach is very popular with families with small children. This entry was posted in beach on 2015年5月26日 by izusakuraya. 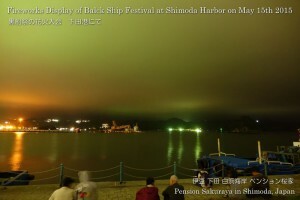 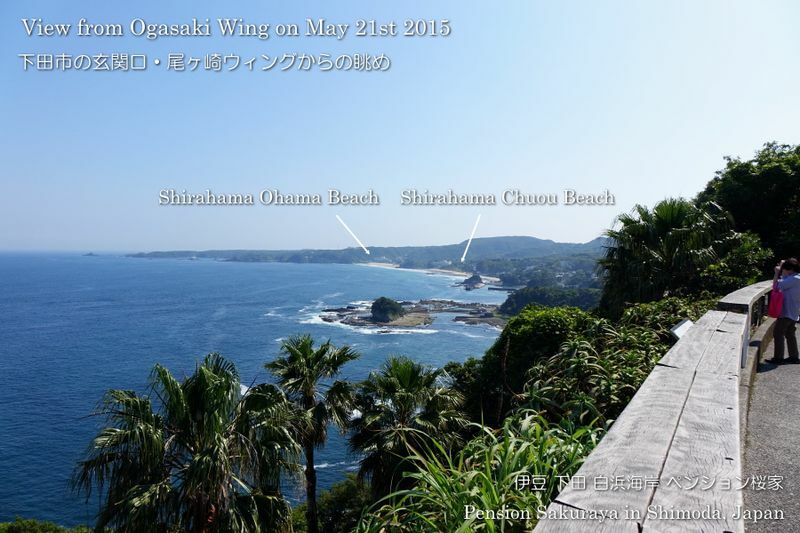 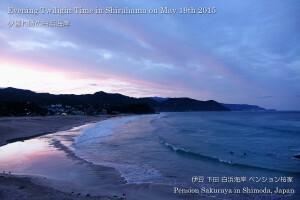 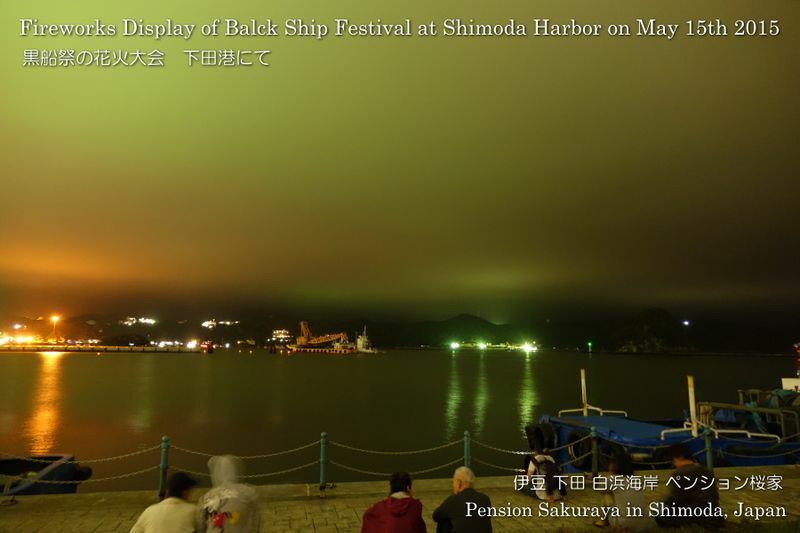 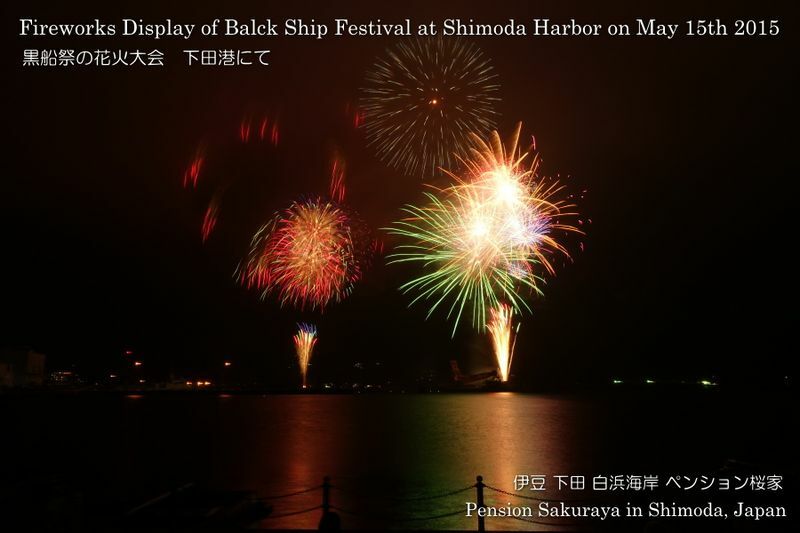 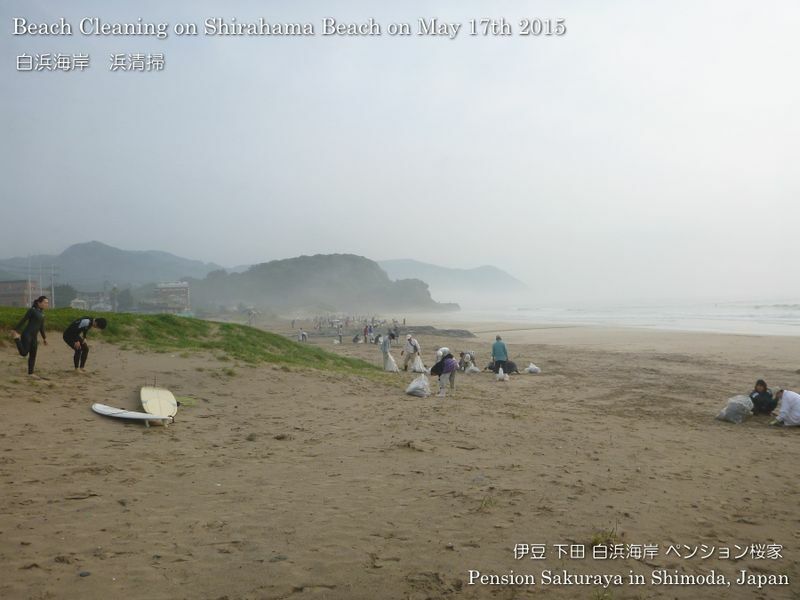 This entry was posted in beach on 2015年5月25日 by izusakuraya. 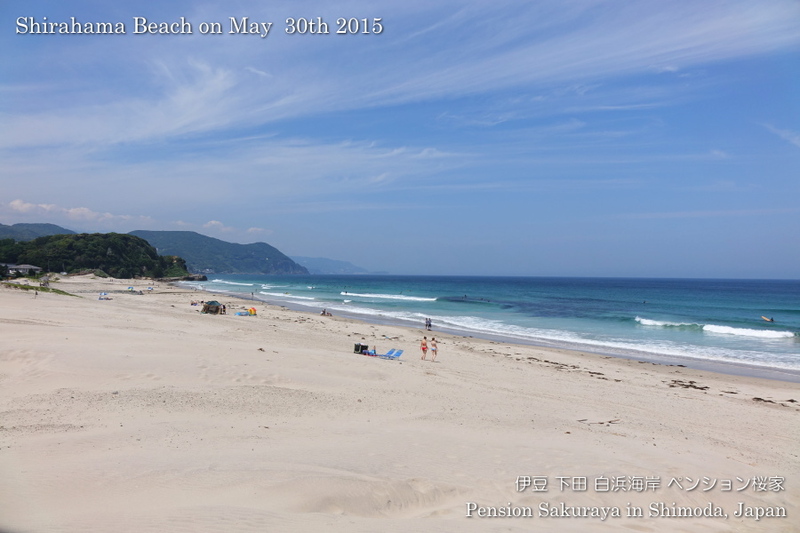 We sometimes had a little sun light through the clouds in the sky, but it had been almost cloudy today. 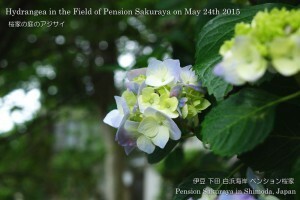 The hydrangea in our field is now getting colored little by little. 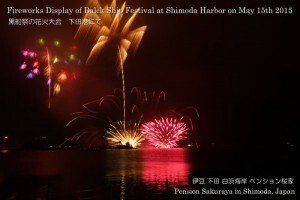 The hydrangea festival will take place at Shimoda park next month. 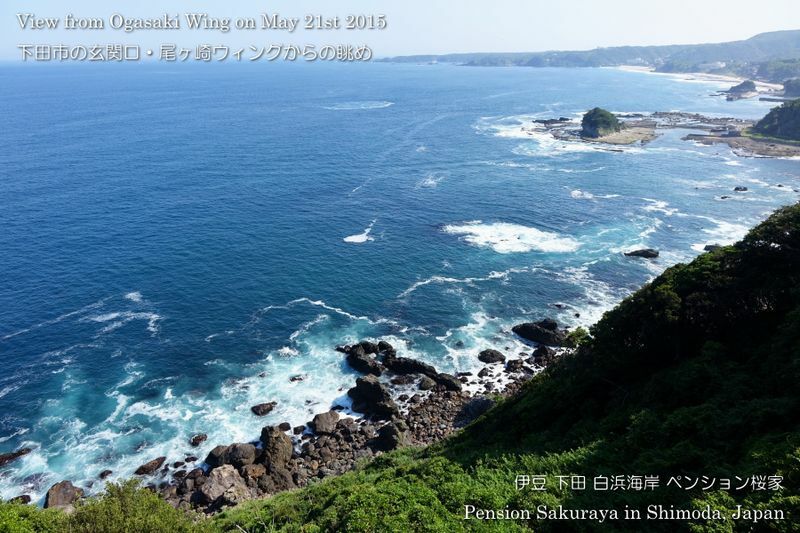 This entry was posted in Flower, Pension Sakuraya on 2015年5月24日 by izusakuraya. 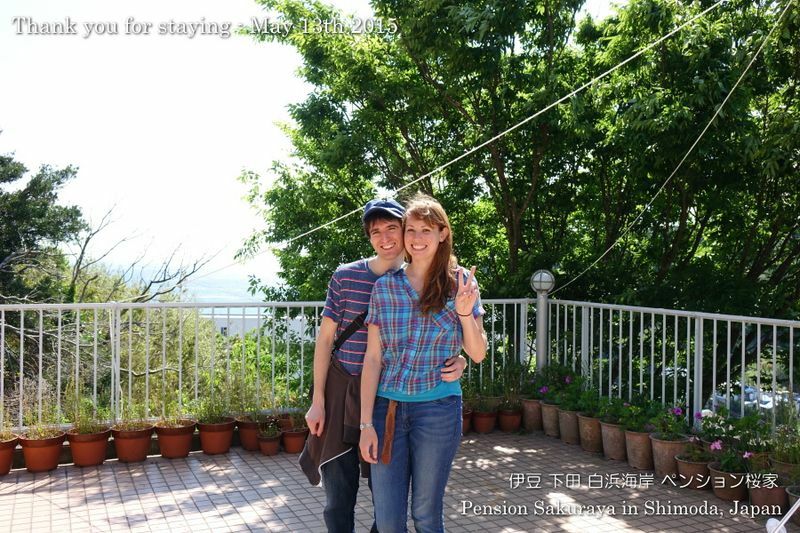 In addition, for example, when I came back from Tokyo we can feel “Yes, we are home!” at this point. This entry was posted in beach, nature, Sea, Travel on 2015年5月21日 by izusakuraya. 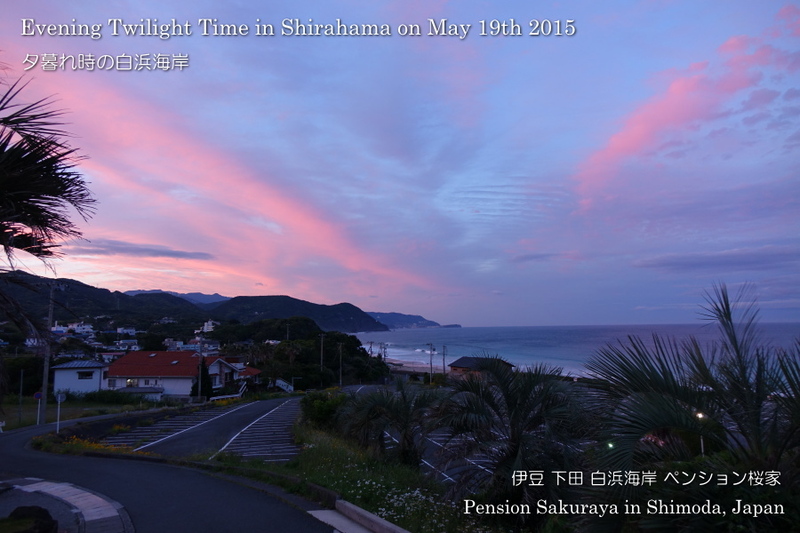 When I was cooking for our own dinner in the kitchen I opened the window and saw the sun setting into the west. So I went to the beach quickly to take pictures of the clouds turned pink on the beach. 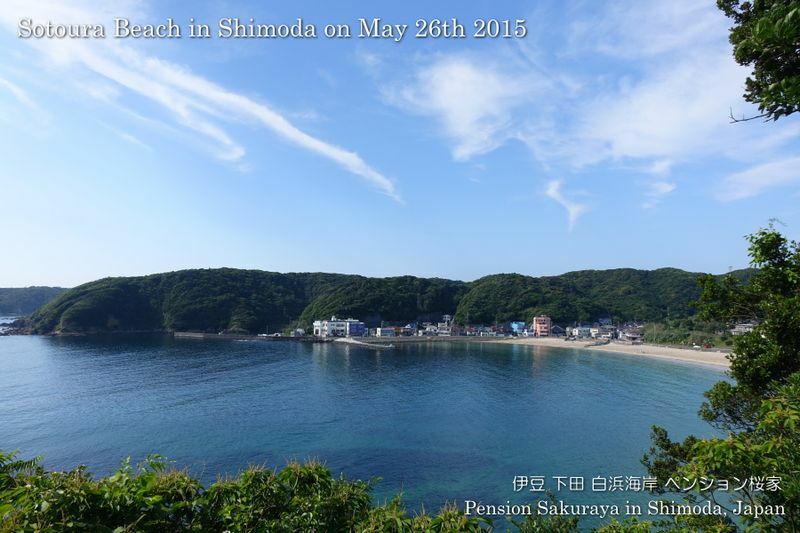 This entry was posted in beach, nature on 2015年5月19日 by izusakuraya. 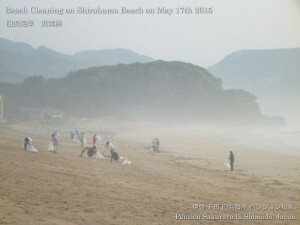 The local community of Shirahama had a beach cleaning this early morning. 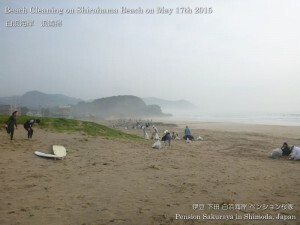 It was foggy then, but it became sunny today. 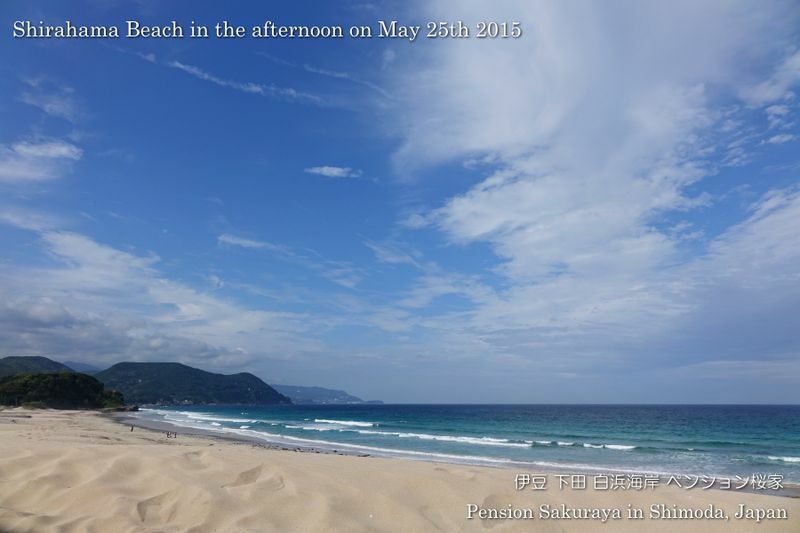 In addition, the humidity is getting higher day by day because the summer is coming! 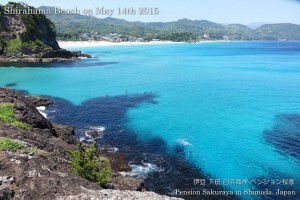 This entry was posted in beach on 2015年5月17日 by izusakuraya. This entry was posted in Travel on 2015年5月15日 by izusakuraya. We had strong west wind, but it was very hot like summer here in Shirahama today. We were able to see a gorgeous seascape this afternoon. This beach looks like a southern island, doesn’t it? 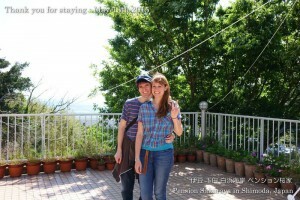 I was really excited when I was walking and taking pictures on the beach and the seaside road under the beautiful sun! 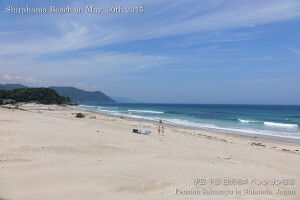 This entry was posted in beach, nature on 2015年5月14日 by izusakuraya. 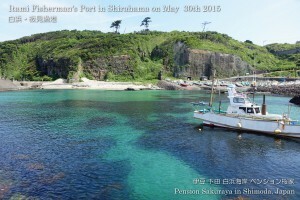 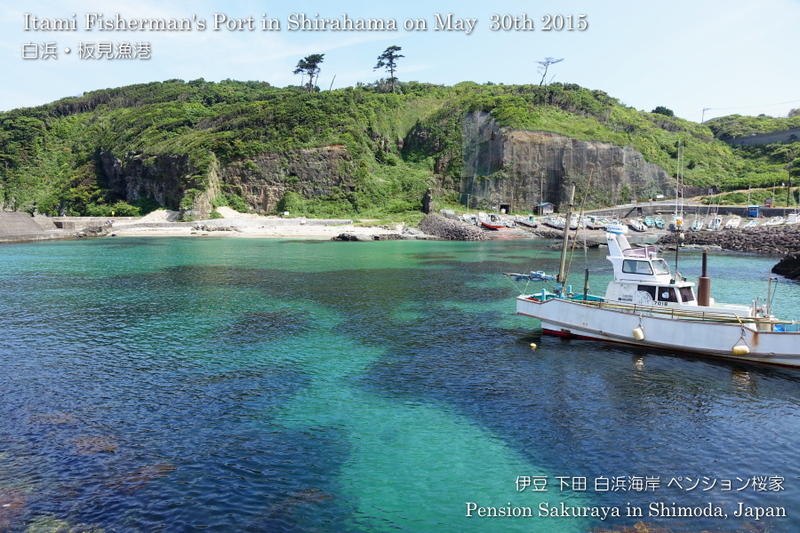 This entry was posted in Customers, Pension Sakuraya on 2015年5月13日 by izusakuraya.